I’d like to speak tonight about ourselves; people called parents. This is a perspective of what I’ve observed over the past 11 ½ years in our society and how it has changed. Admittedly, this is not a long period of time in respect to the wisdom that our own parents and grandparents can share but my own experience begins with a belief that parents are people too. We are separate individuals with lives, goals, and desires of our own, usually coupled into pairs, whose role changes, enhances, inspires, overwhelms and confuses us for a specific length of time during an even greater life span. I will explain the changes I have felt as demonstrated by my own experience. Ellen Galinsky is the researcher who recognized that parenthood has stages just as children grow and develop. Much of her insight in the book, Between Generations: The Six Stages of Parenthood is from personal experience and observation. That brings me back to my own story. Our son was very planned and as a couple we firmly believed that we were ready to make and raise another human being. We did just fine for 9 months and 3 days until we left the hospital after his birth when suddenly the honeymoon was over and our fantasy gave way to reality. What we found was scary and lonely. I felt alone both physically and psychologically and as a couple we were emotionally isolated. I used to push Stephen around and around our block looking for playmates; not for him but for ME!! Some people have coined the phrase that the 1970s were the ME decade; everyone was searching for something better, selfishly. What our family needed at that time was other people. No formal opportunities existed in Santa Barbara for what we were seeking. But we did survive and the desire to try parenting happened again in 1975. By this time, I had begun to find companionship and as you know from the PEP history, four of us decided to change the existing system. In 1977, 14 volunteers started a formal support group dedicated to avoiding loneliness for new families. What I have seen since that time is a development from isolation to community; a sense of belonging to a larger picture, a caring and sharing part of my life as a parent. In 1981, a meeting was held in Chicago of organizations similar to PEP. It was the founding of a national organization called the Family Resource Coalition. Thus, we entered the 1980s in a formal sense, a decade of recognizing that parents exist as being a significant part of our society, emphasizing the importance of parent support groups. Now, my grandmother would tell me, if she were alive, that women shouldn’t even discuss this subject in public since the word “support” clearly refers to a type of undergarment…so much for support. My mother’s definition includes the concept of financial contributions made by one’s husband in order for wives to makes babies, raise them, and keep homey harmony. The division of duties was clear and perhaps that meant that expectations were clearer too. The type of emotional support I needed a generation later wasn’t an issue for her. But times have changed, for whatever reasons we could mention, and for us the definition of support is the essence of our being together here tonight; we care, we share, we listen, we talk. It is interesting to note that our definition has traveled from a physical thing worn on the outside of our body to a less tangible concept. And yet, sometimes, our type of support is very concrete such as bringing dinner over to a family experiencing some type of stress. And it very much reflects the financial element of help such as loaning baby clothes or equipment. But oh, how I especially need a friend to listen to how badly I feel when the day just doesn’t go quite right. I long to learn from another parent that my child isn’t the only one who continues to whine at age 8. Admittedly, this is my personal definition and it reflects my bias. Other people look at support differently, perhaps in a more educational or practical way, but let’s continue on with mine as we look at the importance of supporting parents. If you follow my thinking, I believe that parents are people who have undertaken the important job of raising other human beings. Somewhere during the past 30 years or so, researchers began to articulate and popularize the importance of knowing exactly how to do this job, the very best way. I know you know all of this, but again I have a personal perspective to share. It was one of my uncles, a psychologist, who did the research on primates to prove that newborns need the warmth and caring of their mothers to enable them to grow up to be both mentally and physically healthy. Now the fact that females of various species have known this fact for millions of years did not stop the publishing of hundreds of books on how to love babies. In March, I heard Dr. Barry Brazelton speak about his research on infants and parents and he praised the concept and importance of the “powerfulness in parents”. And yet, it was his book that set me into a panic in 1972 when, for the life of me, I couldn’t figure out where my baby fit into his 3 development categories, slow, normal, fast, of babies in his book Infants and Mothers. But, in defense of being a well-read parent, another neighbor with an 18 month old son gave us Dodson’s How to Parent. It was there that I learned that I could not spoil my baby by picking him up when he cried. Ah, instant relief. I desperately needed to be reassured and there was the answer in black and white. This past summer, Time magazine’s lead story was about babies and how they learn. It was very informative but I can’t help but feel just a little bit sorry for parents as we continue to try to read, digest, absorb, throw out the research and literature that abounds, consumes, and confuses us. I continually wonder the same question; who is looking after the parents? My hunch is that no one else is, so we’d better do it ourselves! Before we look into our inner lives as people called parents, let us take a moment to sit back, close our eyes and picture ourselves as we were as pre-parents. First, what fantasy did you have about your future child? How did you picture yourself; holding a sleeping baby, reading aloud to a toddler or maybe you can’t focus at all on the notion of parenthood. Next, include your baby’s mother or father in your picture; are you still holding the baby or are you holding each other? Now, open your eyes, and ask yourself if your pre-parent notions of having a baby included ways of raising your child that were going to be different from the way you were raised. Did you discuss these expectations with your baby’s other parent? These speculations and expectations are our fantasies and my guess is that this is what keeps the human race from vanishing. Absolutely NO ONE, no matter how you prepare and read and fantasize, can predict exactly how it will really be for each of us when our turn comes to be real parents. Now, there is no question that I have a very definite bias regarding this issue. I believe that there is a limit to how much actual educating we can do prior to parenthood. What we can do is treat parents as individuals in need of support as we progress through the stages of our job. Yes, it is very helpful to know about the basics of baby development and have certain skills necessary to copy along the way, but most importantly is the need for us to care for ourselves and each other. We are parents along a far longer road called adulthood. I remember when I graduated from college and I honestly thought my learning days were behind me. There I was ready to marry, work and have children but who had ever told me (or perhaps I wasn’t listening) that true-life education was what really counted. Needless-to-say, it dawned on me somewhere during the past 16 years of marriage and 11 ½ years of parenting, that education has no walls, hours or examinations. And along this path, full of pit holes, curves, hills and valleys, there are sign-posts to remind us that maybe we’re feeling grown-up, but we never stop growing. Now, let’s take a closer look at ourselves as adult people. First of all, I see caring individuals who recognize that the tremendously important job of birthing a child is just the beginning for both the baby and the parents. Close your eyes again and try to picture yourself in 30 years time. Are you old? Are you alone? Are you smiling, are you sad? I must admit that if someone had asked me to do this exercise 11 years ago, the first thing that would have come to me when I closed my eyes would have been sleep, as a mother of a non-napping newborn. And even 8 years ago, I would have resisted the notion of getting older than 30, but the point I want to make is that we do need to picture ourselves as committed to ourselves as individuals and partners in a marriage as we are committed to our children. Parenthood is simply a state of being, a rite of passage, a life stage. And quite frankly, this has not been an easy passage of time for me. My husband and I have gone through some troubling times, and we’ve invested in some tangible and emotional prescriptions to ease some of the pain of learning to stay in balance. Our list of help-aides includes meditating (but we couldn’t keep it up), a jaccuzzi which forces us to take time to talk without distractions (except for the hot water and starry skies), formal counseling (but not for long), STEP (Systematic Training for Effective Parenting) classes for better family communicating, and lastly, Marriage Encounter (more details next). Before I tell you more about Marriage Encounter, I’d like to share with you a list from a new book entitled The Private Life of Parents written by Roberta Plutzik and Maria Laghi. They write about the search for parental wellbeing in their first chapter and emphasize the following: 1) Give up the illusion of being the “perfect parent”, 2) Look for information but no prescriptions, 3) Lean the art of decision making and goal setting, 4) Accept parenthood as a series of tradeoffs, 5) Don’t try to do it alone, 6) Look after yourself. An example of putting this list into practice is what my husband and I are currently doing for ourselves. We have promised each other to get away together for one night each month. Going down that list we have 1) realized that we are never going to achieve perfection, and we don’t feel guilty about that, 2) we got the idea of having dates as a courting couple from Marriage Encounter, 3) we set this goal of 1 date per month and went through the process of deciding that this would be very good for everyone in the family, 4) we accept the fact that while some of our acquaintances are taking more elaborate vacations because they decided not to have children, we wouldn’t trade our place in time for anything right now, 5) we definitely are not doing our parenting alone, because the reason we are able to even think of getting away is due to our support network of friends who exchange child care with us, and 6) we believe that treating ourselves to child-free outings is very good medicine for our relationship. What I am sharing with you is the realization that our friends have become our extended family. Our support system is what relatives used to do in most communities. The isolation has given way to a new sense of community. Community, that is the key word for lives as parents in this decade. Yes, people still do find it isolating to have babies today, but it should be the exception not the rule as it was for me in the 1970s. A system of emotional support as well as physical help now exists. It is as natural to take Baby Basics as it is to sign up for childbirth preparation in Santa Barbara. The term Warm Line is part of the vocabulary today too. When we thought up that expression, it was in response to the newly established CALM (Child Abuse Listening Mediation) Hot line. I remember wishing I had the nerve to call the Hot line in 1972, but I thought that all I needed was a “Normal” person’s hot line. Consequently, I didn’t reach out to anyone and I just cried by myself and muddled on. Many of you have found close friendships through PEP and that is as it should be. Hopefully, you’ll grow up and grow onward with each other and find that it isn’t only children you have in common, but your shared place in the greater scheme of things. Part of what I am referring to is simple friendship but beyond our child’s life, and after our partnerships end, and our friendships fade, we have only ourselves. Ultimately, we cannot live another person’s life. Remember # 6 on that list, look after yourself, because in our greatest hour of need we end up with ourselves, the individual we should care about the most. And yet, in this room as I look around, I see you as individuals with a unique, inherent strength; you are about to reach out to other people, and thus we build a community. I want to tell you about the Family Resource Coalition, a first ever attempt to nationally organize community-based, parent support groups. As we pass out their brochure, I’ll explain a little about the Coalition for which I am a state coordinator. As a volunteer, I hope to share the goals, philosophy with others and encourage their membership. We are made up of 100s of different types of groups and individuals who believe in the inherent strengths of families. Each group may offer different services in a variety of settings, but our premises are the same; that alone we are weak, but together we can reach out, help each other and make a long-term difference in our society. We can build networks, we can share fundraising ideas, we can influence our governments, contact the media, conduct research, and encourage other groups to start organizing themselves. That leads me to what has happened with PEP over the last few years on the national scene. YOU have become famous; notice the headline of the Coalition’s newsletter last year. Your efforts and energies are setting examples for others to follow. Most recently, PEP appears in the Whole Birth Catalog. As you’ll see, it mentions the 3 books which the founders make available. Noteworthy among these is the Volunteer’s Reference Guide and in particular one page from it which has been reproduced in The Private Life of Parents I mentioned earlier. 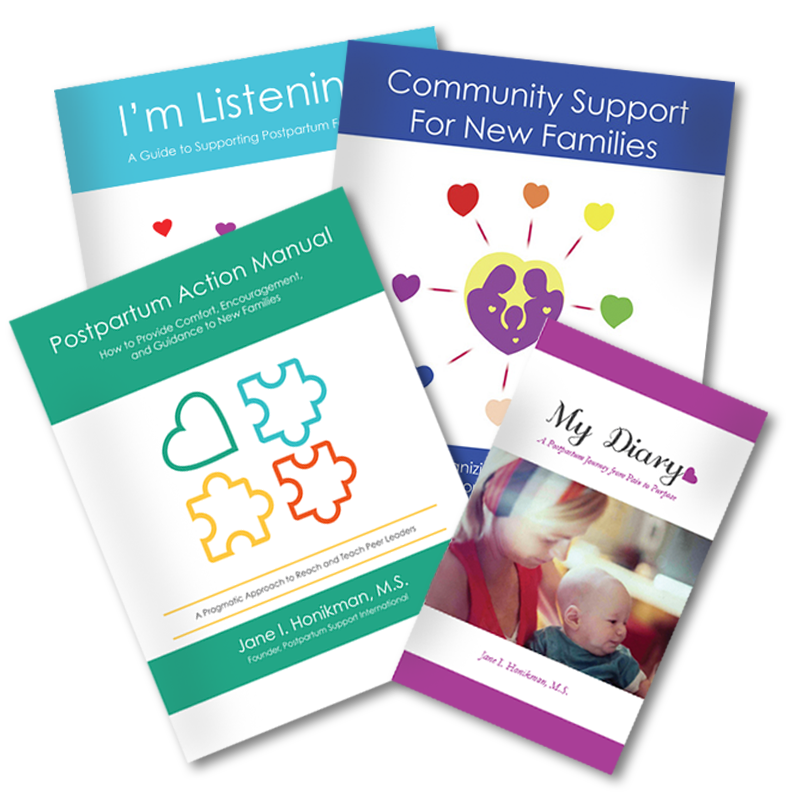 We are regarded as expert in starting other support groups and are listed in books such as Coping with Caring for Sick Newborns. What excites me the most is the fact that PEP is an idea bigger than the people who thought of it and who continue to make it work. It is not just the fact that it reflects the glowing warmth of parents who care about others, but that after we grow on beyond our need to share, the concept remains. It is not an accident that PEP works, it is a reflection of our times. Parents need support, recognition of achievement during the process from the miracle of birth and far, far beyond – on to the next stage and the next. It is but a very brief time that we as adults are those who are parenting another generation. Who is to judge that we will do it better or worse than before, or worse than later, but we can say, without hesitation, that we did it together! I don’t want another parent to pretend that it isn’t traumatic to calm a crying baby, send your 5 year old off to kindergarten, or listen to siblings flight. A parent need not be alone, think it abnormal to feel any emotion, including anger, frustration, joy or pride. In closing, I want to emphasize once again that we are healthier as individuals, our children and families stronger if we continue to share and support ourselves in our efforts as parents. I am proud of US. Thank you for having me here tonight.